[UPDATE 5:31pm] Over at the impromptu memorial behind the “Y”, WTVD 11 is reporting that the SUV has been found and is currently being processed by the CHPD crime unit. [UPDATE 5:50] Further coverage from 1360 WCHL. [UPDATE: 6:16PM] The Chancellor’s remarks via 1360WCHL.com here [MP3]. The young woman found fatally shot on the corner of Hillcrest Road and Hillcrest Circle [MAP + street view] around 5 a.m. Wednesday, Mar. 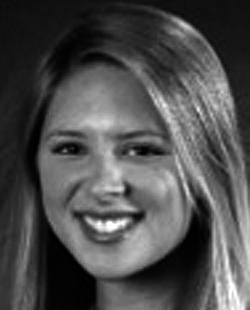 5th as Eve Carson, UNC’s 2008 Student Body President. I had the pleasure of meeting Eve during last Fall’s election, she seemed to be a real champion of the “Carolina Way”. An informal memorial is setup next to the rear of the Y fronting Polk Place [MAP]. Yesterday morning at approximately 5:00 am, Chapel Hill Police responded to reported gunshots in the area of Davie Circle. Officers checked the area and located an unidentified female 18-25 years of age lying in the intersection of Hillcrest Drive and Hillcrest Circle. This morning at approximately 9:00 am a positive identification of the victim was made by police investigators and the office of the medical examiner. The victim has been identified as Eve Carson age 22, a UNC senior and current UNC student body president. Eve was a resident of Chapel Hill and a highly regarded member of the university community. Our condolences go out to the Carson family and the entire university community that knew Eve. The police department has issued a BOLO for the victim’s vehicle that is believed to have been taken during the crime. 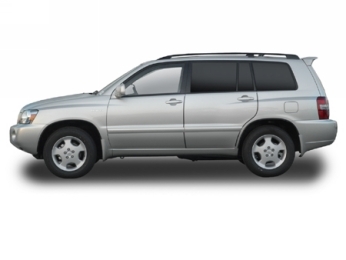 The description of the vehicle is as follows: A blue 2005 Toyota Highlander with Georgia plate AIV-6690. This investigation is on-going and the Police Department are seeking leads and continuing to urge anyone with information about this crime to call the Chapel Hill Police Department at 968-2760 or Crime Stoppers at (919) 942-7515. We will have another update scheduled for 5:30 to discuss any new developments. 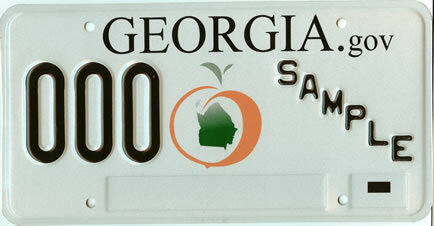 Here is a copy of the current standard Georgia license plate (the style wasn’t described by the police, here are other possible versions). Here’s a 2005 blue Highlander on Craig’s List with some better angles. Further images available via Google images. The Daily Tar Heel is leading the coverage here, here, this video of the news conference and information on this evening’s Pit memorial. The Herald Sun has this update. The Chapel Hill News’ ‘blog Orange Chat has this from Chancellor Moeser. saddened and numb with grief. contemplate our loss and give each other support. the new addition at the Carolina Union until 11 p.m. this evening (Thursday, March 6, 2008). Resident advisors in campus housing and Granville Towers are also available to be of assistance and support. I know how difficult it will be to begin to comprehend something so tragic. Please, as you gather your thoughts and prayers, think of Eve’s parents, family and friends. I hope you will join us this afternoon on Polk Place. I’m confident that Chief Curran will give our police department’s full attention to this tragic crime. Yes, this event appears to be a random act and, thus, not easily prevented but, with two murders and a violent robbery [Pine Knolls] a few weeks apart, we are reminded, once again, that the complexion of crime in Chapel Hill is changing. I’m concerned that attention today’s and these other recent incidents, just like the attention brought by the club shootings Downtown, will fade with time and that our community would have missed an opportunity to discuss how we best address a growing problem.